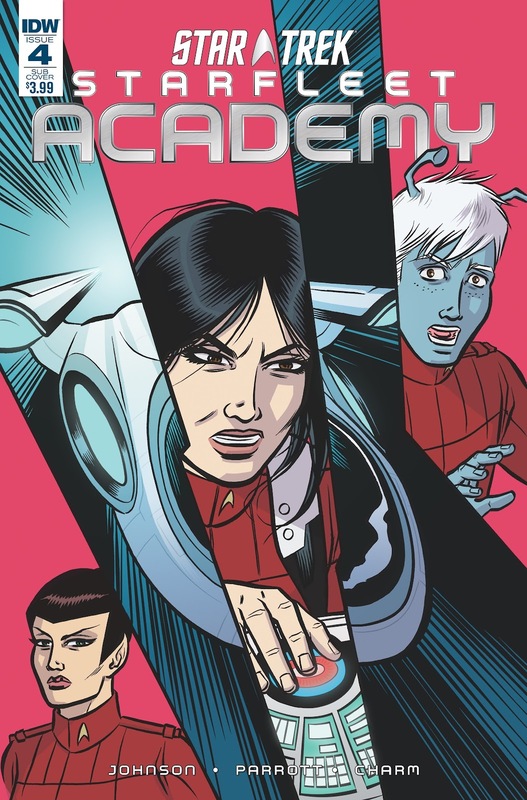 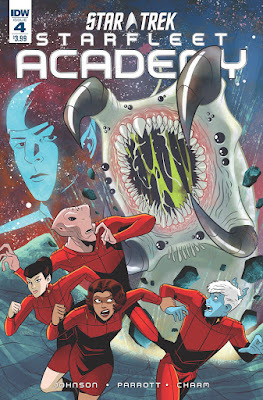 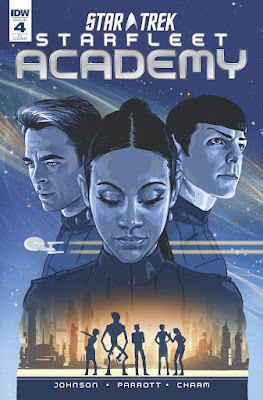 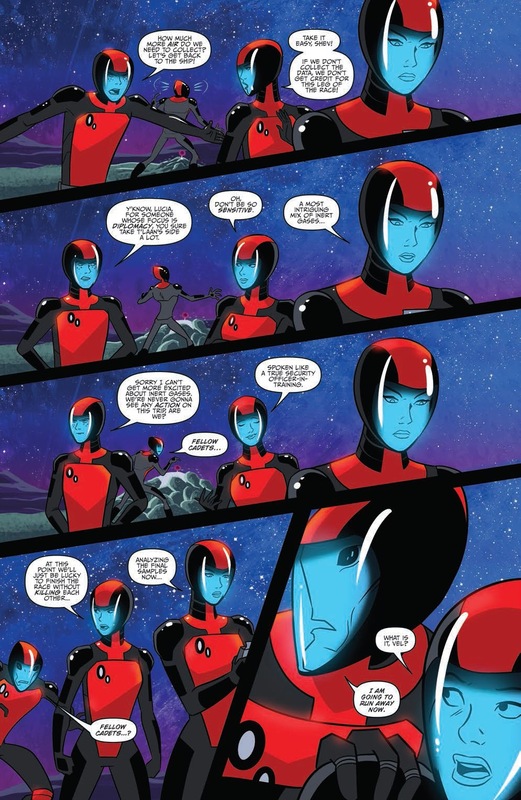 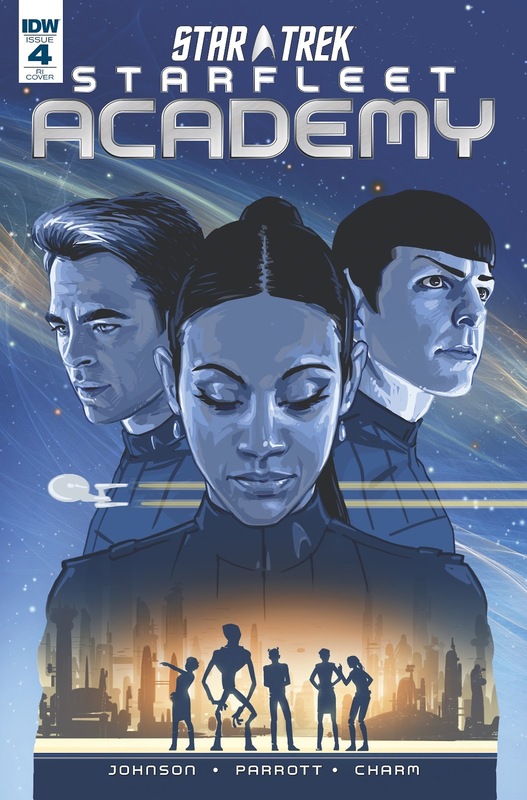 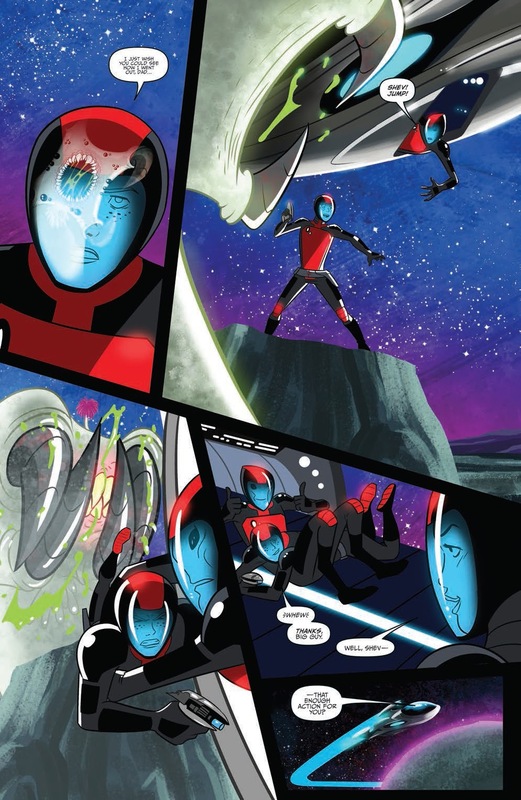 Out this week is the penultimate issue in IDW's Starfleet Academy series. As the series races towards the conclusions of the two sets of cadet's stories, and the end of the Centennial Competition, there is a twist I certainly didn't see coming, which makes me eager to read the final issue. 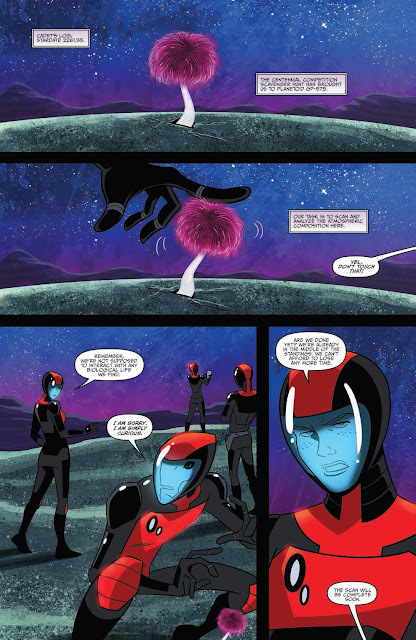 But we've got another month to wait for that, so until then, continue below for a five page preview of issue four. This issue is available in three covers, the standard one comes from Derek Charm, then there's a subscription cover by Robert Wilson IV, and a striking retail incentive cover by David Malan. 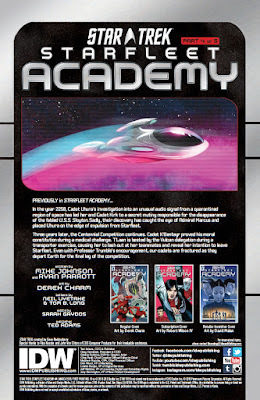 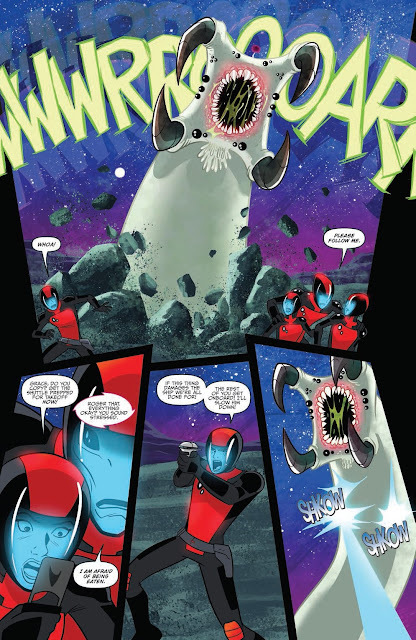 The book, and indeed the entire series, is written by Mike Johnson and Ryan Parrott. 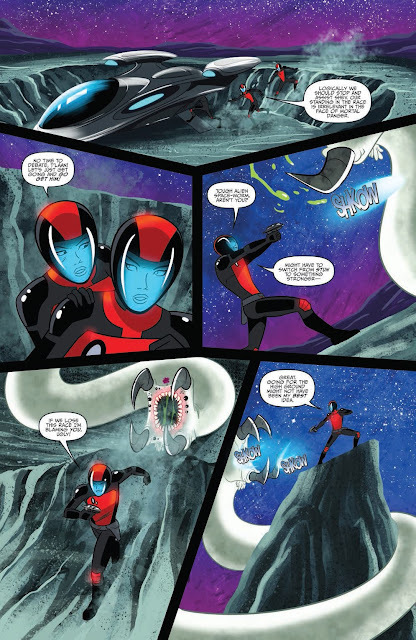 You can continue reading this issue by picking up a copy at your local comic book shop, or from online retails like these: Amazon.com, Things From Another World, iTunes.